"GREAT VALUE - To get a real taste of Parisian lifestyle, rent an apartment. 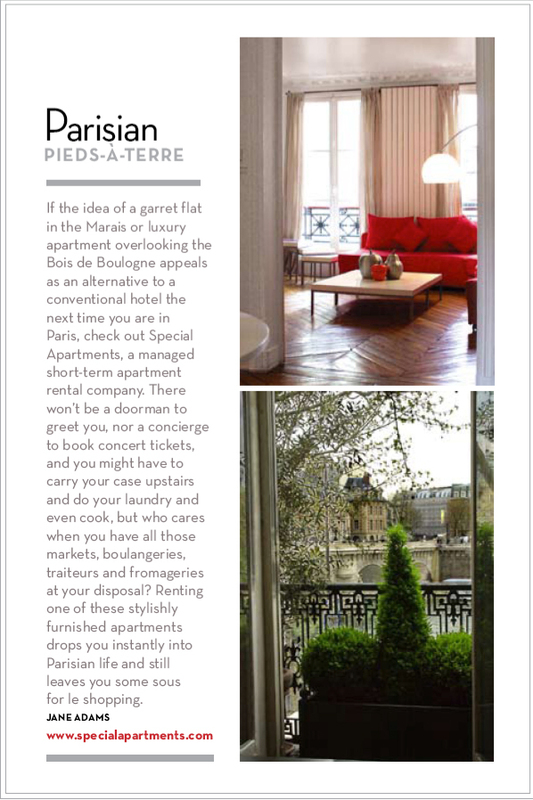 For a good selection of apartments in the Marais, visit specialapartments.com"
".... 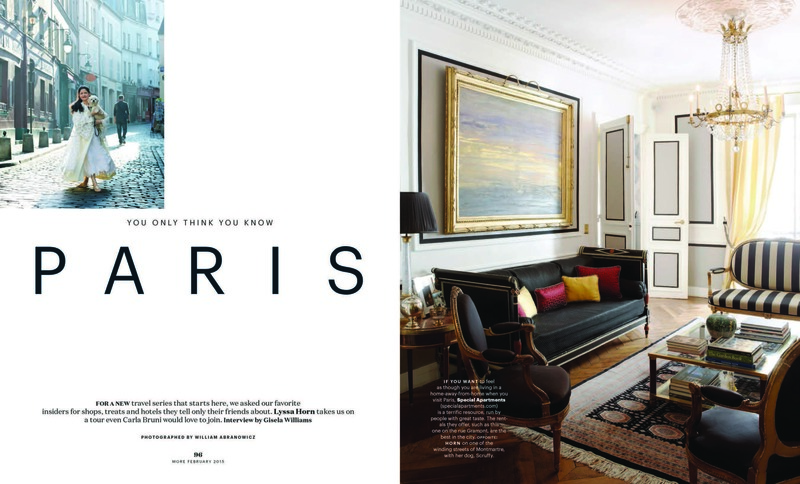 This raises the ultimate reason to stay in an apartment - You'll really feel like you're living in Paris. Instead of monochromic could-be-anywhere hotel style, interior decor in your apartment is guaranteed to come with character. Maurin and Armstrong enjoy collecting antiques and you can stay among their stash of original and reproduction Louis XVI, Directoire, Empire and Biedermeier furniture in a two-bedroom apartment a few blocks from Opera Garnier in the centre of Paris. Collecting is clearly a shared passion. As I admired a set of armchairs a small argument broke out between the two about when the Directoire era of design exactly began and ended. This is a matter of some importance as the furniture, Maurin points out, was picked to match the era of the building - the start of the 19th Century. That's a personal touch you don't often find in hotels. Armstrong sums up the reasons to opt for an apartment over a hotel as, 'it's less expensive, more space, more intimate'....."